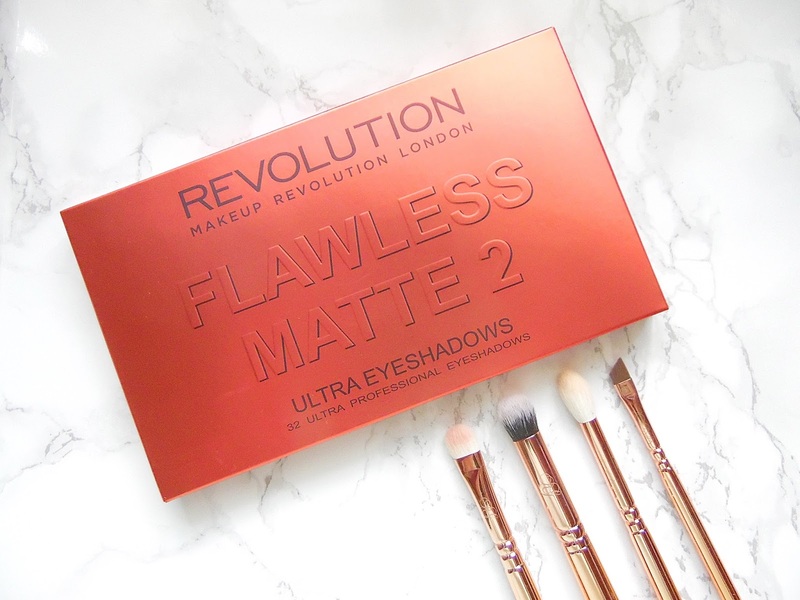 Makeup Revolution have added another gorgeous palette to the Flawless Mattes collection - meet Number 2! This palette is going to a must have in any makeup collection and it is so affordable so it would be rude not to experiment with matte shadows! 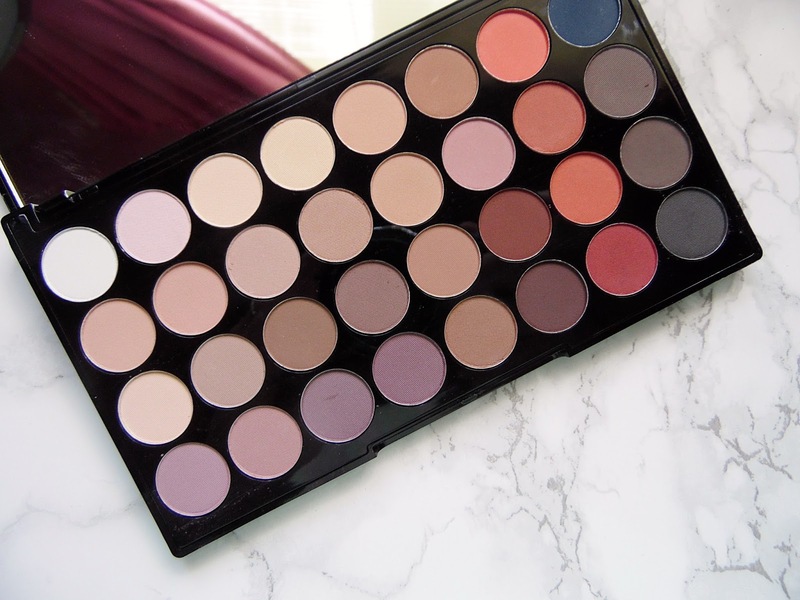 This is a completely matte palette with an incredible 48 shades ranging from lights to darks with neutrals, orange tones, plums and even a gorgeous deep blue shade. If you are new to makeup or trying to build your collection this palette would be great to play around this as it isn't going to break the bank and there are so many looks you could create with this. The 48 shadows are housed in a sleek glossy black palette with rose gold writing on the front of the palette. Inside the palette is a full sized mirror making makeup application on the go one step easier. All of these shadows are super soft to the touch and apply smoothly to the eyes and blend out effortlessly. I prefer to use matte shades in the crease and as a brow bone highlight so this palette is create to experiment this different shades in the crease which I wouldn't usually go for. The pigmentation with the lighter shadows is a little hit or miss as some barely show up and others have a good amount of pigmentation. Some of the lighter shades give the eyes a light wash of sheer colour and others have good pigmentation, the first shade (the white) doesn't show up at all on my eyes but the one next to it does for example. The darker shades in the palette are much more pigmentated and all of the shadows apply smoothly to the eyes. Even though a few of the lighter shades aren't greatly pigmenated I would still recommend this palette as it does have 48 shadows so you are bound to find some favourites. This palette retails for £8 - HERE.